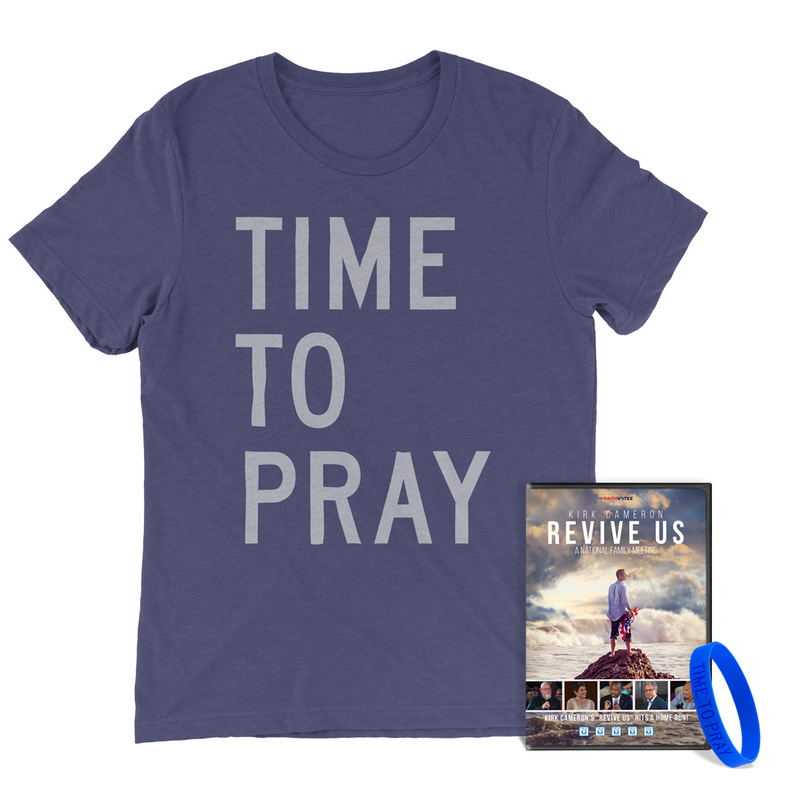 In this exclusive bundle, Kirk Cameron's Revive Us DVD comes with a blue 'Time to Pray' t-shirt and a blue 'Time to Pray' rubber wristband. Revive Us was a live event held in Chicago in October 2016 and over 150,000 people across the U.S. gathered at theaters to watch this powerful family meeting to rediscover our nation's faith-filled roots. Watch Kirk and friends discuss America's 'Red Sea' moment. Featuring guests such as Dr. Ben Carson, Pastor Francis Chan, Dr. James MacDonald and more. Click here to purchase the Revive Us DVD separately, or here to purchase the Time To Pray T-Shirt separately. I received my dvd, t-shirt and wrist band today. I am very satisfied with them all. The t-shirt is very soft and great quality. Thank you.